Putting together four first place finishes and strong rides, the Brevard College cycling teams are looking ahead to a stellar season. The home racing began with Men’s and Women’s Cross Country events. Brevard’s Men’s A cross country competitors took several top positions: Tyler Orschel had a smooth ride to first and not far behind, Scott McGill finished fourth, Tim Coffey 10th, and Zachary Lowden 15th. Brevard’s Women’s A cross country competitors had just as strong results: Hannah Arensman finished with a strong second, and first-year student, Hannah Dickson, gave a solid performance with a seventh place. Saturday’s afternoon event did not disappoint either. The intense Dual Slalom event, where two racers ride at the same time, side-by-side down the mountain, displayed even more talent by the Brevard College team. In the men’s A race, Kyle Grau finished second, followed by McGill in 18th, and Orschel in 19th. For the men’s B results, Finn Cullen rode hard for a fourth place finish, and Lowden in ninth. Men’s C event gave Brevard College a first place ride by Will Hegedus, while Dalton Collins finished 18th. Arensman had a good run for the women’s A Dual Slalom event, with a sixth place finish. In the women’s B race, Nicole Rusden finished with a fourth place followed by Dickson in seventh. “Cypress and I are extremely proud of our team and their performance this weekend. I’m most proud of the way our student athletes act as leaders throughout these race weekends,” said head coach, Brad Perley. Day two showcased extreme athletes, again, with two events: Short Track and Downhill. The Short Track race started off in a fog, but that didn’t stop Brevard College from earning two first place finishes: Orschel in the men’s A race, and Arensman in the women’s A race who had an exciting finish, down to the last stretch! Everyone loves a good downhill… everyone that has a little crazy in him or her that is, and Brevard College does! Men’s A did some major shredding with McGill finishing first, Grau fourth, and Orschel 12th. B class had similar results with a strong second for Hegedus, Lucas Pound in third, Lowden in ninth, and Cullen in 11th. 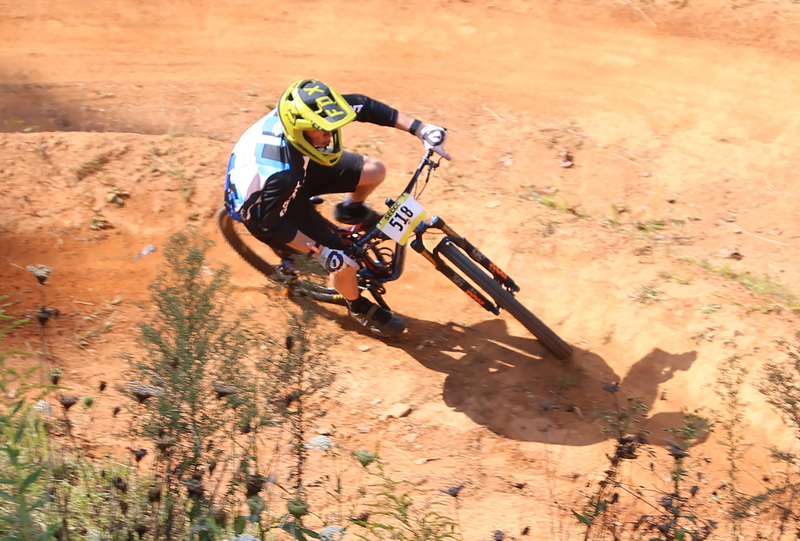 C class for the men also had good showings by Ryan Sargent with a seventh place finish, and Dalton Collins coming down the mountain in ninth. On the women’s side, Arensman was third in A class, and Dickson shredded to first in the B class. To see more of Brevard College cycling teams in action, come support them at their next race at Lees-McRae on Sept. 22nd and 23rd. Brevard College is consistently recognized as a top liberal arts college. The College’s focus on experiential learning, and the campus’ location in the mountains of Western North Carolina make it a top choice college for students around the world.